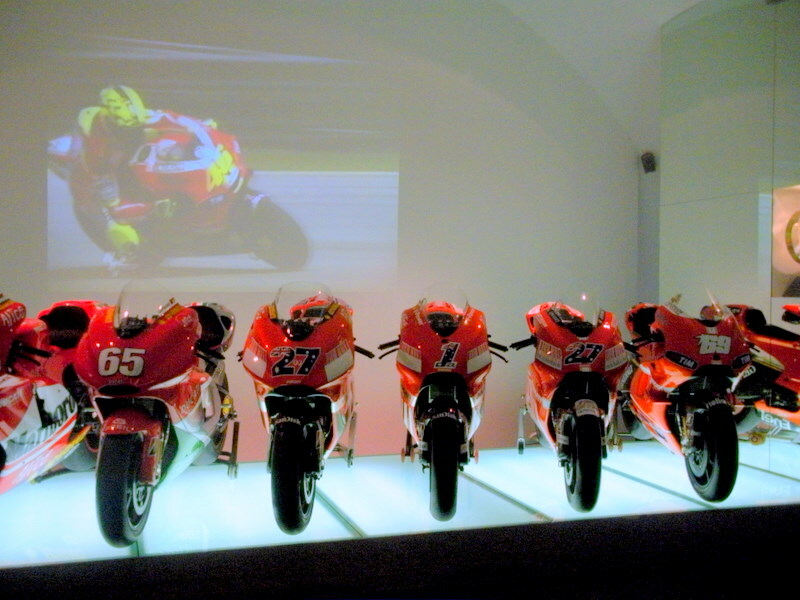 The MotoGP room at the Ducati Museum located at Ducati’s world headquarters in Bologna, Italy. This span of Desmosedici GP bikes represents every iteration of the Desmo, including the number 1 plate-wearing bike ridden by Casey Stoner. 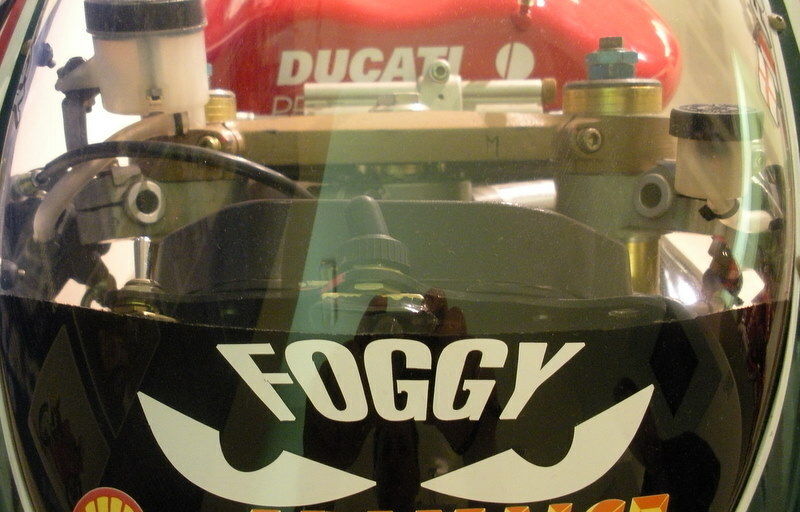 Just on the right edge of this pic is Nicky Hayden’s #69 Desmo. 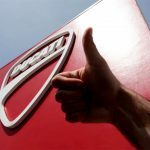 I’m currently in Italy for the world launch of the new Monster 1100 EVO, and had the opportunity to take a guided tour of the Ducati factory located at the company’s headquarters in Bologna, Italy. 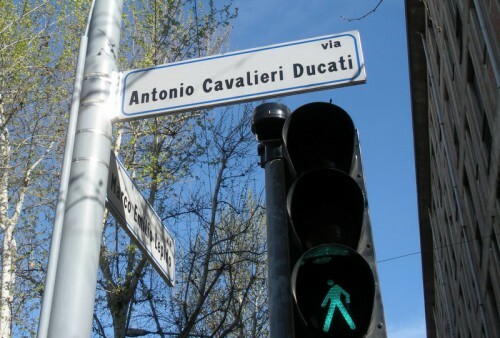 Ducati isn’t the largest motorcycle maker, but the brand arguably stirs more passion than any other brand of two wheeler. So dedicated are some Duc owners that they belong to an informal group known as the Ducatisti – a seemingly numberless collection fans of the Italian motocompany every bit as loyal as dyed-in-the-wool Harley riders. And it was at the factory that I learned devotion to Ducati doesn’t just come fans but also from those 800+ people that feel blessed to work for Ducati. A favorite of Editor Duke, the ultra rare Supermono. This is unit #1. 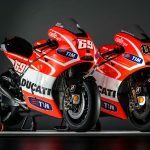 While employees weren’t necessarily whistling while they worked, like cheery, rosy-checked elves, their pride nevertheless came through as they all wear some form of Ducati branded apparel (mostly red Ducati t-shirts) as uniforms. And employees that ride a Duc to work get to park out front of the main office building rather than on the street or in the back parking lots. 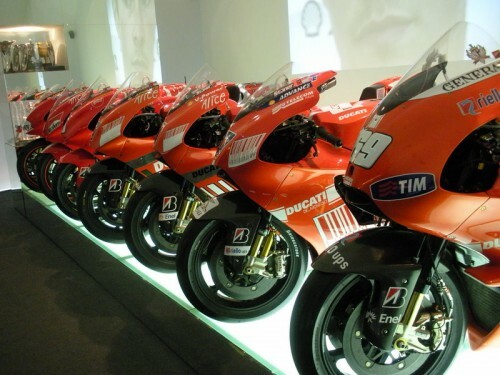 The only other vehicles parking in this spot were visitors and Ducati execs. Unfortunately we were under strict orders preventing pictures of the factory facility, so I’ve no images of the tons of Diavels being built, or the many Monsters and Multistradas getting pieced together. So the images in this post are from the Ducati museum – which by the way is dedicated almost exclusively to Ducati’s racing history rather than containing every model ever built by Ducati. 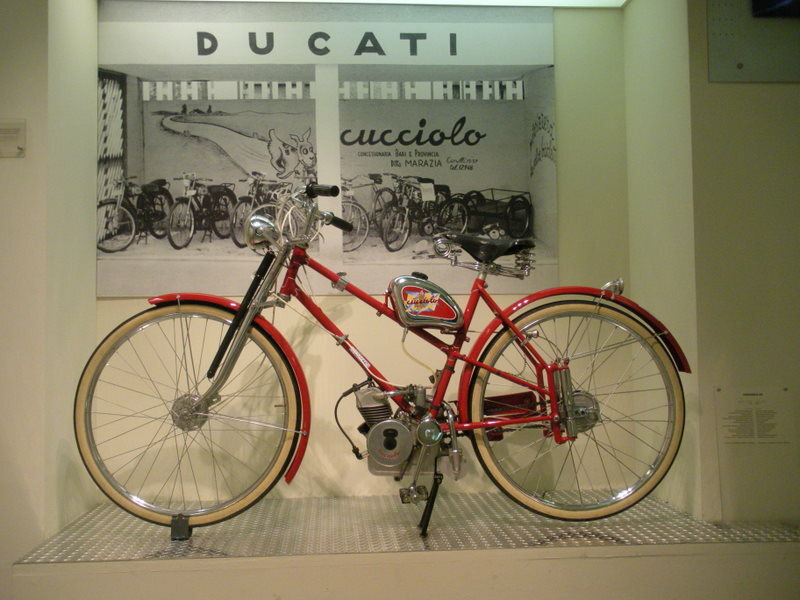 The first production Ducati motorcycle was really the first production Ducati engine. The model’s name, ‘cucciolo’ means puppy or little dog. 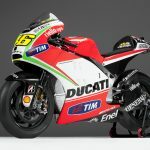 While Ducati has come a long way from only a couple decades ago when production was ultra slow and arduous, there’s nevertheless a lot of hands-on work with each Duc. 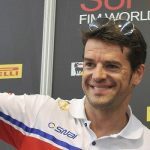 – The average time to assemble an engine is 70 minutes, and average time to complete a whole bike is roughly 90 minutes. – Production is seasonal, and can range from approximately 160 to 300 units per day. – Virtually every aspect of bike assembly is handled at the factory, and has been since the brand’s beginning, save for a short period in 1936. – The Monster line is the most successful Ducati model line to date, with over 246,000 Monsters sold since the line’s birth in 1993. 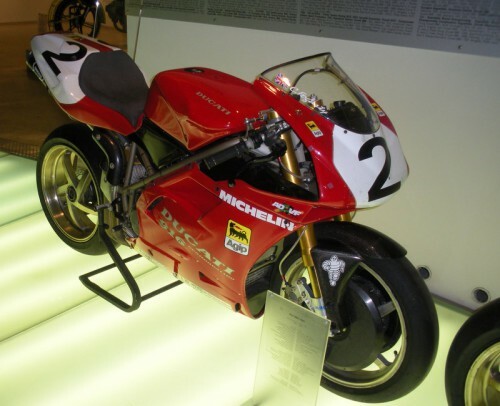 – Since 2000, when Ducati implemented new production processes, the company was able to reduce defects and reliability issues by 85%, thus leading to the extended service intervals we see on today’s Ducatis. This large poster is affixed to the wall of a building on Ducati’s property. 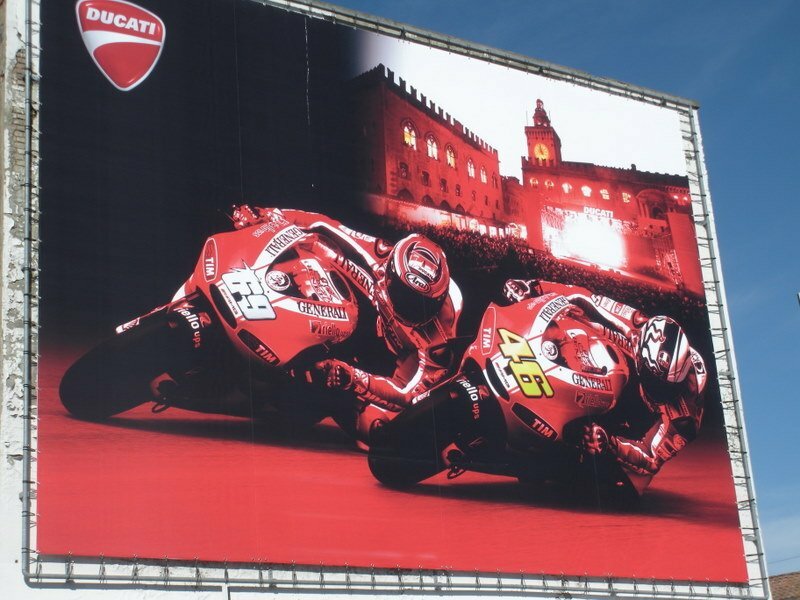 The massive image of Nicky Hayden and Valentino Rossi faces the street. A duplicate image more than twice the size of this one is also displayed from a building and faces out to a busy street for all to see. 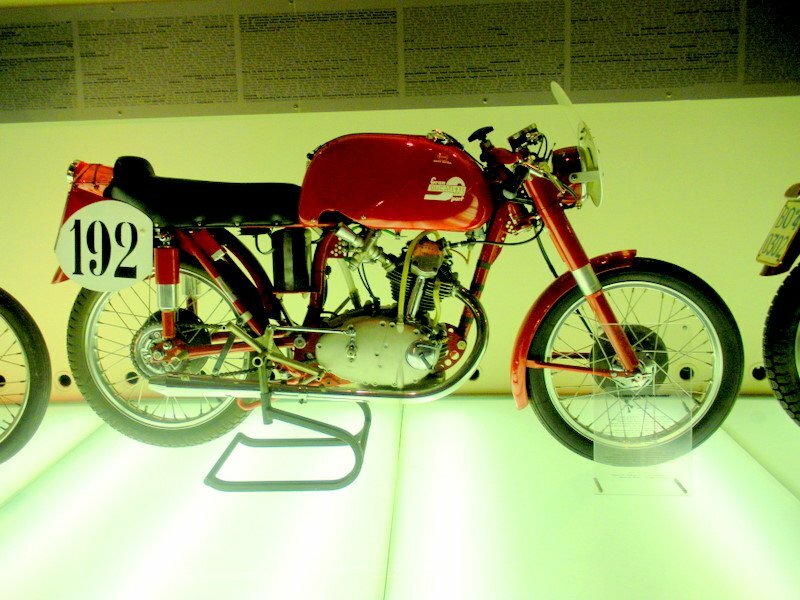 The bike that started it all for Ducati’s love of racing: the single-cylinder Gran Sport 125. 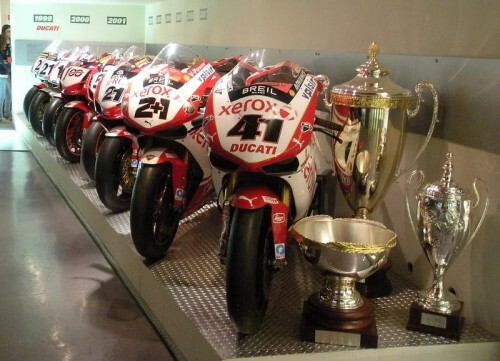 From the humble Gran Sport 125 above to a row of winners decades later. 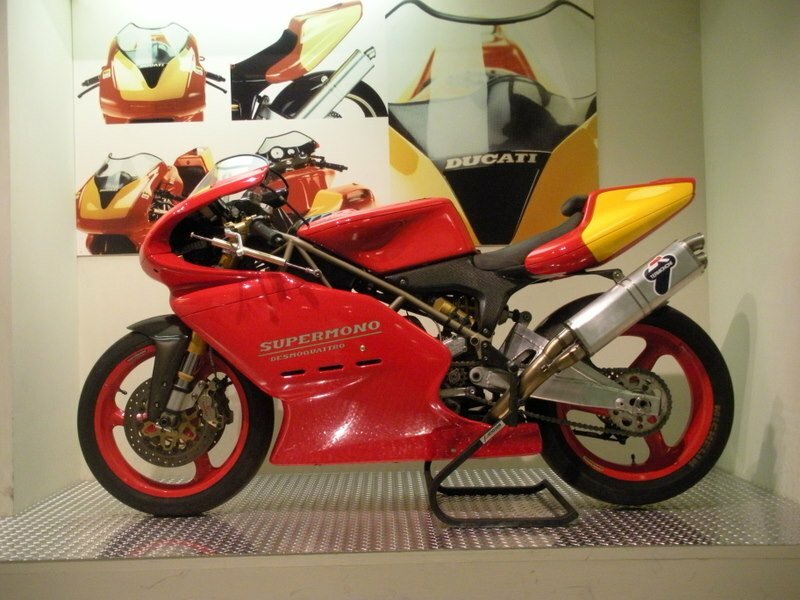 Here’s another model that gave Ducati a new start: the venerable 916. A box of warm Krispy Kremes if you know who used to ride this bike. A perfect way to the day at Ducati. 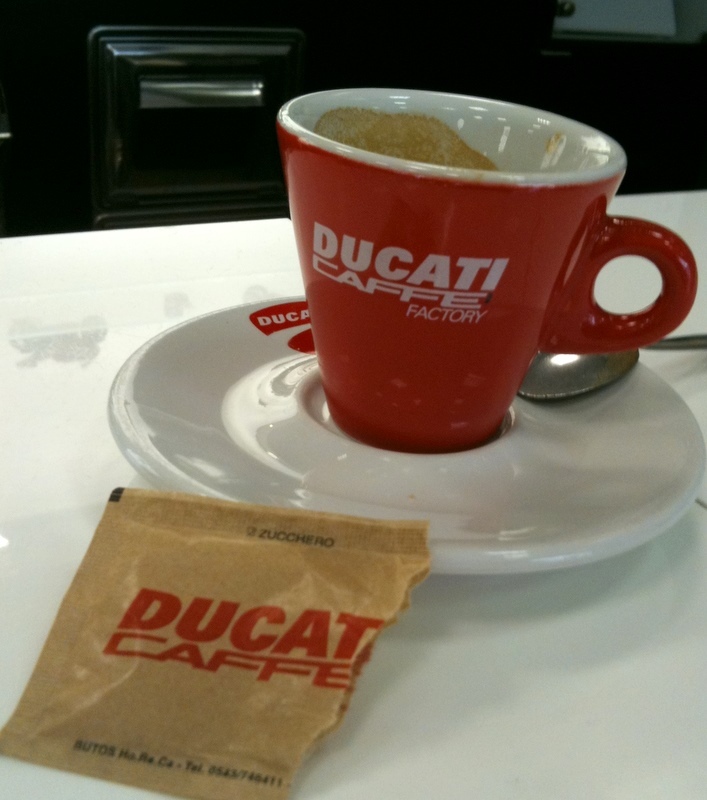 Somehow, a coffee from Ducati’s on-site cafe tastes a little better.